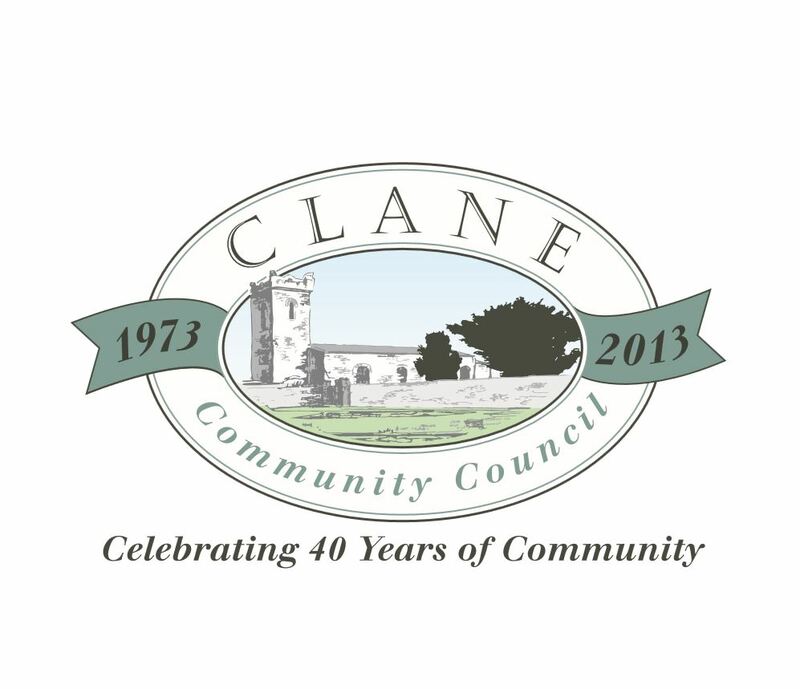 Clane Community School, Scoil Mhuire Adult Education, offers a variety of part time and full time classes and courses in Clane, Co. Kildare, for those looking to further their qualifications, learn a new skill or explore personal interests. Courses in Clane, Co. Kildare range from hobbies such as Cooking and Yoga to Languages such as Italian and German to Mind and Body including Child Care and Digital Photography to name but a few. Scoil Mhuire Adult Education Centre is a registered QQI QA Centre No.91372D. Scoil Mhuire Adult Education has agreed its Quality Assurance policies with QQI. We run adult education classes and courses for people seeking to study lifelong learning or further education courses in Clane, Co. Kildare and further afield. For more information about courses and classes at Clane Community School, Scoil Mhuire Adult Education, view our course listings on Courses.ie or contact us using the details below. Raise the heart-rate, enjoy an aerobic work-out which burn those troublesome calories and helps tone from head to toe. Followed by a variety of body resistance exercises to give the body definition. Incorporates various fitness levels. Cool down as your body’s heart-rate returns to normal. (Qualified Instructor), (Bring mat & bottle of water). Alexander Technique is a tool in understanding how your body moves and works. Conscious movement applied to everyday activities from sitting and standing to walking and lifting. We work in a gentle focused manor, doing less to allow more, in this practical, mindful class. Step into enjoying your garden. Plan the future for your room outside. Introduction to low maintenance planting and seasonal colour. Plant seeds and bulbs for summer splendour. Learn the art of propagation. Make your own compost. Grow organic herbs and vegetables. Choice of plants for containers and window boxes. Year round lawn care. Interesting and a fun experience. A hands on practical approach to baking. Learn how to bake cakes for all occasions. Party desserts, different pastries, pies, meringues & roulades and much more. A great way to burn calories. Work your whole body in a short period of time. Each exercise is fun. Easy to fit into a busy schedule. An intense workout that combines cardio, strength and flexibility training. Great for weight loss, all ages and body shapes. An introductory course to Car Maintenance encompassing the basic day to day care of your car, preparing for the NCT and dealing with common minor breakdowns. The Result? A car maintained in peak condition, giving you peace of mind. Recognise the personal care needs of clients. Discuss the roles, responsibilities and entitlements of a care worker. This course is suitable for those interested in improving their spoken French, especially when going on holiday. This course offers an introduction to basic counselling skills & practice. The focus will be on experiential learning through group interaction and participation. It aims to provide a foundation for those interested in pursuing further studies in the field and is also suitable for Parents, Teachers and Care Workers. Start taking great pictures! Master the workings of your digital camera. Understand composition and exposure and improve your portraits, landscapes, still-life and much more.Suitable for improvers. Release your inner creative talent. We will look at various forms of writing including articles , essays, stories, etc and will cover topics such as dialogue, narrative, character development, research, etc. The techniques under discussion will be practised and writers will receive constructive comments from the class. Why not try your hand at crochet, or improve your crochet skills. Crochet is so trendy right now. Learn to make your own summer tops, ponchos or baby wear. You will get hooked once you start! The purpose of this award is to equip the learner with the knowledge, skill and competence in the theory and practice of digital photographic production to produce digital photographic images. Participants should have access to a laptop with any version of Photoshop or Adobe elements Photoshop installed and a camera capable of full manual operation. This course is for all whether you own a dog or are considering getting one. Learn how to comb your dog, brush out knotts, bathe, cut nails, check ears, teeth when to start to groom your puppy, visits to your vet etc. general health issues. This Drawing the Portrait course is designed for learners who have an interest in sketching portraits that achieve a good likeness. Suitable for absolute beginners and those who have some knowledge in drawing technique. You will need to purchase your own drawing supplies (Cost €20 approx). Clane’s adult education programme runs this Food Safety part-time course. This is a EHAI refresher course for those eager to revamp their health and safety knowledge in the workplace. Do you want to speak and read English? This course is suitable for learners who are new to Ireland and would like to know the basics. Learn the skills of flower arranging in a relaxing and therapeutic atmosphere. Create your own arrangement of fresh flowers. Restore all types of furniture, re-assemble, remove old polish, re-french polish, stain and finish. Please bring your piece of furniture to be restored on the first night. Learn how to care for all kinds of pets – dogs, cats and exotic pets like bearded dragons! The focus will be on nutrition, disease, behaviour, training, bedding and environmental factors such as temperature and humidity. The course will build on your general and specific knowledge of pets. This General Equine Study course has a general focus on the history of equine, including types, breeds, anatomy, physiology and nutrition. Common diseases will be covered as well as sports and stable maintenance. This course will involve theory of general equine and will suit anyone with an interest in equine study. Learn a new language and dip into the customs of German speaking countries. This course is suitable for those with a basic knowledge of playing the Guitar aimed at improving Strumming Patterns, learning more advanced Chords and Finger style playing. A course for beginners and experienced in the techniques of hand built pottery and modelling. All items made during the course are kiln-fired and glazed. Suitable for beginners, this course is a gentle introduction to the most basic yoga postures. Focus on breathing and engaging it with your daily routine. Leave class feeling relaxed, yet rejuvenated!. This class is also Ideal for those taking part in sports including cycling , running. 8 Modules in total required for this Major Award. Cook healthy alternatives for yourself and your family, using organic and locally produced ingredients. Recipes include super soups, spectacular sauces, beautiful beef dishes and mouth watering vegetarian dishes. Learn the difference between social hand hygiene, antiseptic hand hygiene and surgical hand hygiene to include the correct use of alcohol handgels. Immerse yourself into the world of Wine. This Beginners course will cover wines from all over the world and each week there will be an informative wine tasting. You will learn about everything from grape varieties to wine regions. Places are limited. Enjoy learning Italian, discovering something new about Italy and her people. Build on your existing Jewellery making skills. This course is project based and will cover new techniques such as Wirework, Chainmaille and Bead Weaving. A basic knowledge of jewellery making and one’s own tools are essential. Materials will cost extra, where a course materials list will be provided. Almost anyone can benefit from Kettlebells training. Improves posture, fitness, bone density and alignment. Keeps the body fit. Simple, straighforward exercises. Learn to play and read some basic music in an easy and fun way. This course is designed for people who have never played music before and would like to have a go. This course is designed for people who have done already some very basic reading and playing. You will learn to play some more advanced music and some scale work. The course also covers some basic theory and knowledge of the workings of the keyboard and piano. A complete work-out for ladies. Suitable for beginners and improvers. This course will cover the basic rhythms and techniques of playing the bodhrán with Traditional Music and as a Solo Instrument. Suitable for a beginner or for a person with some experience. Tuning, strumming, finger styles etc. Learners are required to bring their own guitar. Complete course will be offered over two terms Autumn 2017 and Spring 2018. Agricultural Science is an excellent point building subject for the Leaving Certificate. It contains many aspects of Leaving Certificate Biology and Geography. Complete course will be offered over two terms Autumn 2017 and Spring 2018. Suitable for students currently in Transition Year. Great foundation for Leaving Cert both written and conversation. Aspects of grammar and essay writing covered. Gaeilge don Scrúdú Béil: for the oral Irish exam – at Leaving Cert. Complete course will be offered over two terms Autumn 2017 and Spring 2018. Course taught by experienced examiner. All aspects of the written paper covered. Suitable for students currently in Transition Year. Great foundation for Leaving Cert honours maths. Complete course will be offered over two terms Autumn 2017 and Spring 2018. For 6th year students. Complete course will be offered over two terms Autumn 2017 and Spring 2018. Gaeilge don Scrúdú Béil: for the oral Irish exam – at Leaving Cert. suitable for both Pass and Honours students. Now worth 40% of the Leaving Cert. Exam. Conversation, exam – preparation and some aspects of grammar. Taught by experienced examiner. Break free from negative thoughts. Learn to relax & enjoy life. Realise your full potential. Gain a solid foundation in Excel 2013/2016. This course is suitable for beginners/improvers (Optional Certificate). Complete practical projects in a relaxed workshop environment. Learn the terminology, create and manage worksheets and workbooks, create cells and ranges, create tables, apply formulas and functions, create charts and objects. Create professional quality spreadsheets. Enjoy the art of nail technology. This course will cover basic manicures, toenail care, file and paint, French polish, basic nail art using diamonds, glitters, colours. Demonstration of gel and acrylic nails. Optional add-on: Mani-Q Gel polish, learn to use 3 week gel polishes. Kit required. Young Nails Mani-Q Certificate awarded if completed. 1. Presentation – create professional standard presentations. Perform tasks such as creating, formatting, modifying and preparing presentations using different slide layouts for display and printed distribution. This course is designed to provide participants with the opportunity to develop an understanding of psychology and to explore its relevance to the individual, family, community and society. Learn oil painting in a relaxed and supportive environment. The focus of this class is on developing individual abilities in painting style and expression by providing advice and demonstrations of techniques. Class tutor is experienced and is a practicing artist. All are welcome. Suitable for total beginners and those with some knowledge of course content. Window light catchers, terrariums, window panels, lampshades, using copper foil method or lead kame. Own cutter, grozing pliers and runner essential – can be purchased in class. This module aims to equip the learner with the knowledge and skills required to care for a person diagnosed with a life-limiting illness and their family in a dignified, inclusive and holistic manner. Certificate will be available upon completion of both Term 1 Spring 2017 and Term 2 Summer 2017. This course will provide you with the knowledge and skills necessary to maintain payroll records for small to medium sized businesses covering terminology, calculations and the production of statutory reports. Invigorates the mind, develops core muscle strength, relieves stress and back pain, improves balance and co-ordination. Will leave you looking toned and revitalised. Suitable for beginners. Limited number in class. (Bring a thick mat, large towel and bottle of water). Invigorates the mind, develops core muscle strength, relieves stress and back pain, improves balance and co-ordination. Will leave you looking toned and revitalised. (Bring a thick mat, large towel and bottle of water). Using royal icing learn decorative piping, piped flowers using nozzles and nails, runouts, brush embroidery and writing skills. Nozzels required, cost of materials extra. A course introducing you to the area of Psychology. Course includes subjects such as Personality, Emotion, Abnormal behaviour, Cognition, Perception and Social Psychology. This Sculpture courses teaches you how to make an alginate mould, a plaster cast from the alginate mould. Create a sculpture by carving an aerated concrete block, an armature for a sculpture and a clay sculpture using the armature created at the workshop. Students will also learn about sculpting tools, techniques and materials. An introduction to Spanish language and culture in a relaxed atmosphere, covering everyday situations, with emphasis on pronunciation and oral practice. Just the course to get you started. For those who have taken a Basic Course in Spanish. This Speaking with Confidence evening course is delivered by Clane Community School. Using drama techniques, enjoy improving, communication skills for interviews or speech making. Course includes: Relaxation, Body Language, Vocal Techniques, Preparation for an Interview or Presentation. Start ups, Banking, Stocking & Business Loans, Contracts. Day to day Running of your business. Cash flow projections, Sales Targets & Sales pipe lines. Grow your client base, month by month. Sales & Marketing on a tight Budget. Grants, Law, Web Sales, Contracts of Employment, Company registration & Tax/Vat Returns. Who do you think you are? Genealogy for beginners. An introductory course on how to trace your family history & build up your family tree. Course will look at births, deaths, marriages, census returns & many more records from Ireland & United Kingdom. Basic computer skills needed.